Shanghai, Jun 25, 2014 (Global Fashion Wire) - At the GSMA-360Fashion & Tech Runway Show 2014 Special Performance co-organized by the MAE and 360Fashion Network on June 11, cutting-edge technologies such as 3D scanning, 3D printing, wearable technology and clothing robots are gradually penetrating into the fashion industry. This visual feast marks the first time to integrate the latest wearable technologies with innovative fashion designs in China, unveiling the hot points and latest trends in the integration of the fashion and technology industries. GSMA CEO Mr. Michael O'Hara said, "The MAE is constantly increasing new projects and activities to strengthen the experiences of participants." Given the growing integration of the fashion industry and technical products, the lively, interesting live shows at the Tech Runway Show and the exhibition of numerous fashion works and wearable devices at the "Fashion and Technology" exhibition booth of the GSMA Mobile Star Stage have attracted the attention of many participants. Polish designers Michael Starost, Monika Figlewicz and Malgorzata Wasik, German designer Christian Bruns from MOON Berlin, Finnish 3D printing accessories designer Pekka Salokannel, Australian designer Rebecca Chen, and young designers graduated from the Minzu University of China, Beijing Union University, Hubei Institute of Fine Arts, Fashion School of Zhejiang Sci-Tech University, College of Textile and Garment of Guangzhou University, Zhejiang University of Science and Technology School of Apparel Design, College of Art of Northeast Dianli University, College of Arts of South China Agricultural University, Raffles Design and Art College (Australia), and VIAMODA Industrial University in Poland, provided over 50 pieces of themed design works to showcase the merging of fashion and technology. Sports trackers, brain visualization headband, Smart Watches, body scanning, 3D Printing, and more…entirely new collisions suggest the young generation's desire to integrate technology into their fashion apparel. The young designers supporting this activity said that the Tech-Fashion Runway Show has offered them special, original technology experience and enabled them to understand and think about how to integrate technology into future designs. The high–end technology products merging with fashion are from AURACLE SOUND, Misfit Shine, INTERAXON Muse, Samsung Gear 2, Netamo June, Parrot AR DRONE, idea Printer, Ai.Frame Robotics, KORTIDE, BEST SHOW, Welomo, AndyInc, Zhitu & EventDove , more than ten tech enterprises in China and overseas. The merging of high-end technology and fashion provides more new business opportunities, new distribution models and new market, new materials for fashion industry’s sustainable development, and also changes the way of creating and consuming fashion. Wearable devices have increasingly become a focus of attention in many industries since 2013. Juniper Research forecasts that nearly 70 million intelligent wearable devices will be sold in 2017. According to the market response, many wearable devices need to be designed with more fashion elements to become popular products. Meanwhile, technology and the fashion industry are being increasingly integrated on the global level. Brands such as Burberry, D&G and Chanel provided a live broadcast of their autumn/winter women’s show 2010/11 using the 3D streaming technology. The 2010 autumn/winter Milan Fashion Week featured a live broadcast of iPhone, which was very eye-catching. And well-known clothing and lifestyle brands such as Nike, Adidas and Lululemon have marched into the wearable technology market. Anina Net, founder of 360Fashion Network and an international fashion model, said: "360Fashion Network will lead the vision of the latest technology industry trends by integrating them in a visual feast with fashion designs using wearable technology, 3D Scanning, 3D Printing, and clothing robotics. Clothing is destined to become part of the Internet of things. It is now time for the fashion industry and the technology industry to work hand in hand to combine the most cutting edge technology with avant-garde design. With its fast approaching flexible screens, interactive glasses, solar power, and smart devices, the future must be an integrated lifestyle that is fully connected." Mobile Asia Expo, Asia's premier mobile industry event, features a cutting-edge product and technology exhibition, a thought-leadership conference, and outstanding network opportunities. Attendees include a mix of senior-level industry leaders and mobile-passionate consumers. 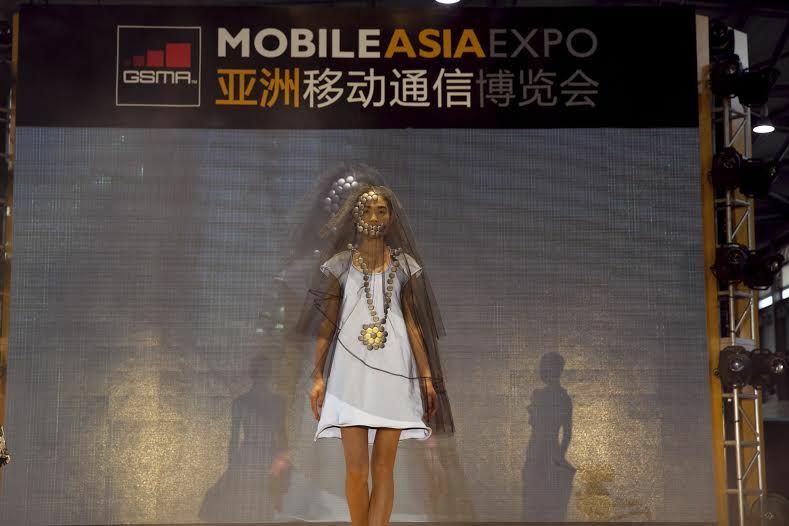 At Mobile Asia Expo, mobile executives with interests in Asia meet to conduct business; managers from the mobile industry learn about their industry; affluent, early adopting consumers in Shanghai explore what’s next in mobile.